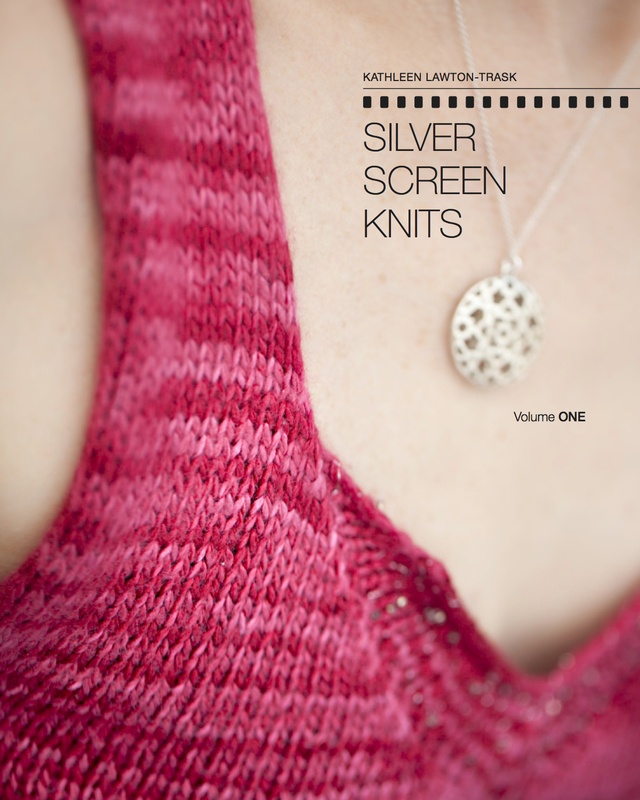 Charity Knitting, Wherever You Are (and a giveaway!) | Knit Like You Mean It. To illustrate winter, here is a photo of me in a hat. It’s getting cold here in Oxford, and back on the East Coast of the US where Mr. Trask and I are from. One’s thoughts naturally turn to knit hats, mittens, scarves, and sweaters – and, sometimes, to those who might not have anyone to knit for them. In the past three weeks, I have received information on two different charity knitting projects, one here in England and one back in the U.S. It seems appropriate to post about both of them here, and suggest that you choose one of these worthy endeavors and add a hat or scarf for them to your winter knitting queue. Both are small, home-grown ideas, and I think that’s appropriate as well since this is a small blog and you can get information about the big movements like The Big Knit or The Big Knitathon elsewhere (man, do those two have a Google problem). 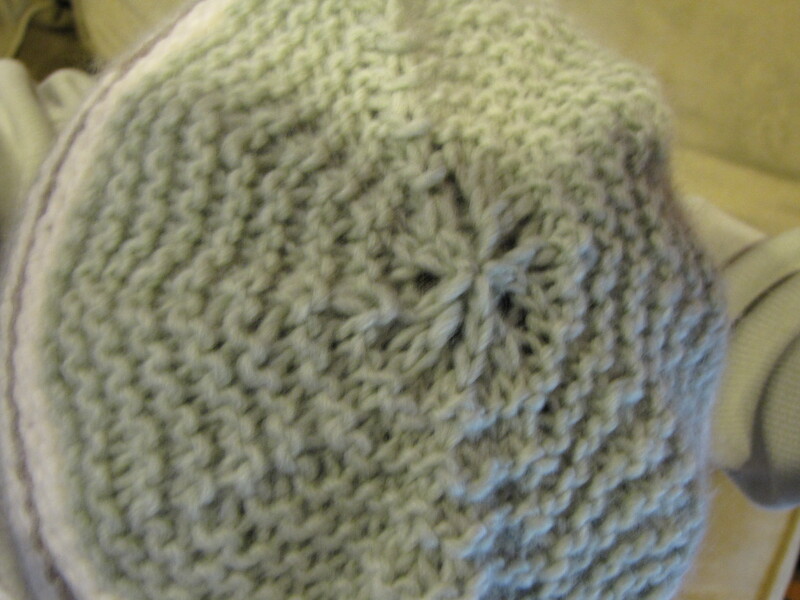 Here’s the top of the hat. Don’t you love the tops of hand-knit hats? As an added incentive (and because I have missed doing giveaways), I’m offering yarn to one lucky knitter of a hat for either of these groups. Just knit your hat and send me a photograph of the package you send, and I’ll enter you in a drawing to win the yarn pictured at the end of this post. First up, Catherine is organizing the knitting of warm hats for Veterans Aid. This group looks after former members of the British armed forces (not just soldiers, but support workers including medical staff and administrators) who have fallen ill or had other difficulties and need help to avoid being homeless. Catherine and her compatriots have already made six; surely you and I, dear readers, can come up with six more. The other group, Knits for New York and New Jersey, is making hats, scarves, and other warm bits for those displaced by Hurricane Sandy. I lived in New York City after college and while I was getting my master’s degree, more than 10 years ago. I loved the city, and some people I love still live both in and around the area. More importantly, there are people living there now who have had to leave their homes and who need a little warmth in their lives. This group is just getting started, but they’ve already linked up with some folks who are holding a Crafting for A Cause event in Brooklyn. If you’re nearby, go and report back to the rest of us! 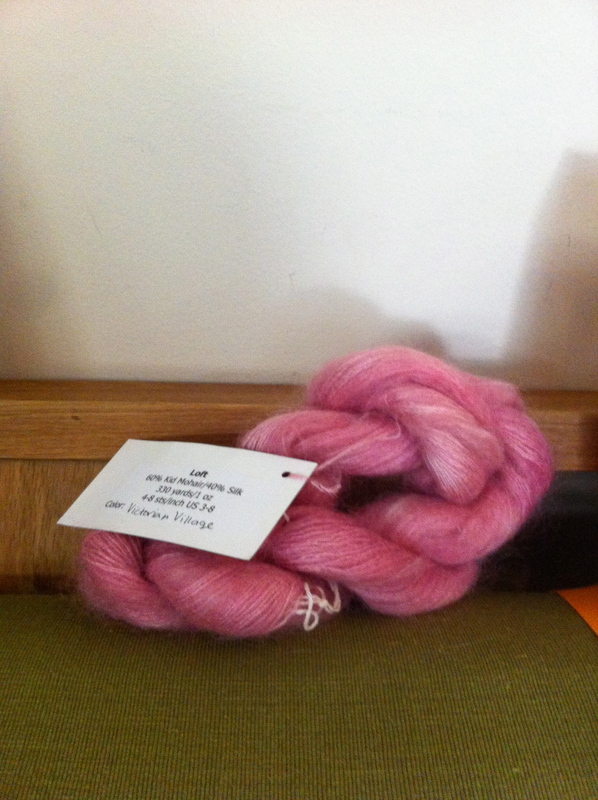 You can donate knitting supplies to the Brooklyn event, too. And here’s the hat on its own. If you people are nice and/or interested, maybe I’ll publish the pattern at some point. Will a warm hat change someone’s life? It won’t find them a place to stay if they don’t have one; it won’t give them food if they don’t have it. 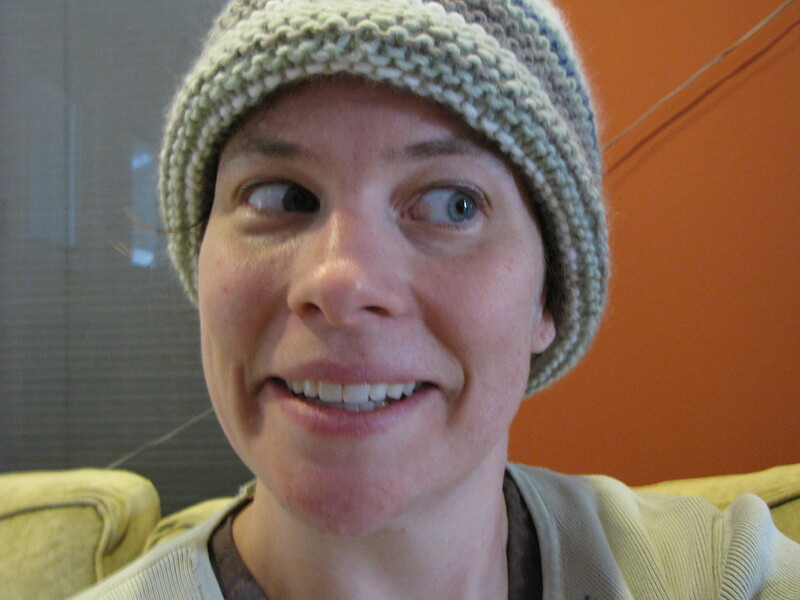 But a handknit hat will let a person in trouble know that someone was thinking of them and wishing them well. That’s often why we knit, especially for the holidays; we want our relatives and friends to know that we love them and are thinking of them. As the days get shorter and the weather colder, I think it’s more than nice – more than important – I think it’s crucial to remember that we all are a part of the human family, that we have more in common than we think, and that a little love sent to a stranger can help, not just them, but us as well. So that’s my pitch for a random act of kindness, either in the U.K. or the U.S. Would anyone like to join me? If you’re interested, post your ideas for hat patterns below. I’ll start – how about A Hat Fit for a Boyfriend, or the Hurricane Hat? Both free, both quick, both fun. What do the rest of you think? Plus, here’s some yarn you might enjoy. One lucky hat knitter (chosen, as always, by the Random Number Generator) will receive this yarn from me, free of charge or any other strings. As I said above, to enter just send me a photo of your package with the hat you’re sending to either organization. 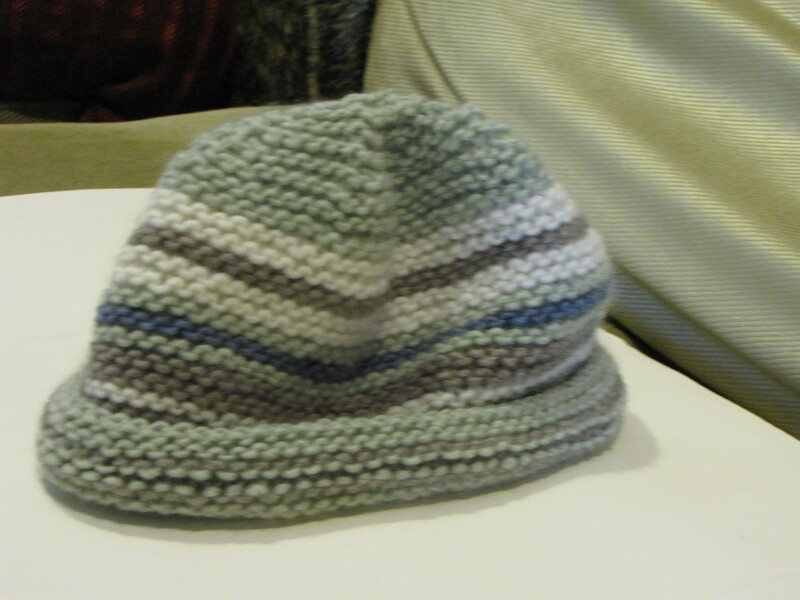 Deadline for the drawing is Dec. 15, but of course you can keep knitting hats long after that. Neighborhood Fiber Co. Loft in color “Victorian Village.” Make yourself a glorious light scarf like this one, or this one. Hi, Catherine! Great idea. Bloggers, if you post about either of these projects, let me know and I’ll enter you into the drawing. Bring out yer hats!